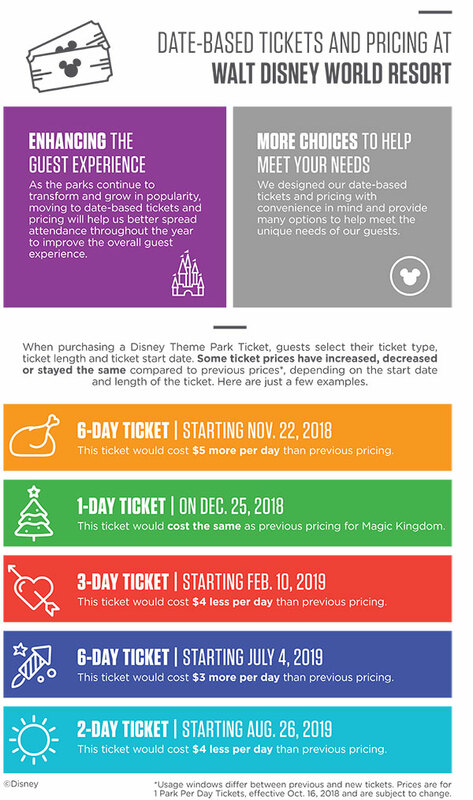 The new date-based ticket pricing for Walt Disney World Resort theme parks starts today. 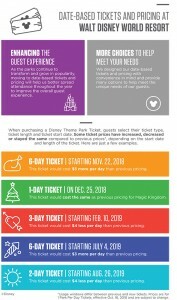 This new pricing system allows guests to purchase tickets via an online interactive calendar “which displays different ticket prices based on the dates they choose to visit,” according to Disney. The tickets prices will vary depending on the start date and length of the ticket. Some prices have increased and some have decreased. Once guests purchase their theme park tickets they can plan the rest of their visit including FastPass+ selections and more. The new system also includes new planning tools to make planning a Disney World vacation easier for guests.